February is a short month jam-packed with holidays and celebrations and quality time with these fantastic reads: the latest from Marlon James, Samin Nosrat’s widely celebrated cookbook, a self-help book about self-help books, and an exploration of the underground. 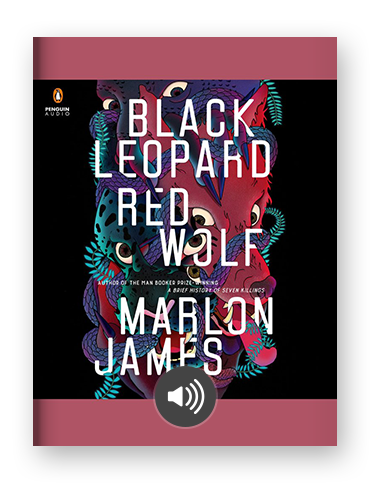 Marissa: Black Leopard, Red Wolf has been billed as Black Panther meets Game of Thrones, and that’s the type of blurb that guarantees a genre nerd like me is going to read it. It is a swords and sorcery epic built on a foundation of African folklore, and packed with dynamic, and often graphic action scenes that would fit perfectly in the pages of a comic. But it’s also a story of trauma, loss, and the struggle for self-identity, especially in those who diverge from dominant culture. The narrative fits relatively well into the familiar epic fantasy framework of the hero’s journey, but with so many twists and turns that it feels like something new. A mercenary known only as Tracker teams up with a motley group of fighters, including a shapeshifter, a moon witch, and a giant. They set out on a quest through enchanted dark jungles searching for a lost boy, and soon realize they may be trying to save the kingdom. It’s set apart from other fantasy epics partly because it moves the genre away from it’s Euro-centric canon. But it also doesn’t follow a straight line, and Tracker’s motivations are so complicated that it never feels like the old trope of the tireless hero advancing. It’s a violent, wild, magical book and a recommended read for anyone looking for something fresh in the fantasy genre. Alex: For anyone who’s fallen for Samin Nosrat’s charming Netflix series Salt Fat Acid Heat, I am here to tell you the source material is just as — if not more! — charming. Written with Nosrat’s signature warmth and approachability and the gorgeous, whimsical illustrations of Wendy MacNaughton, it makes cooking less of a color-by-numbers and more of a flavor adventure. Samin Nosrat will be joining us for a ScribdChat in our SF office next week, and I can’t wait to hear her talk more about her path from gourmand to author to my — and, who are we kidding, America’s — new favorite celebrity chef. Katie: Ever wonder what would happen if you actually put into action all the advice from self-help books? This is the book for you. 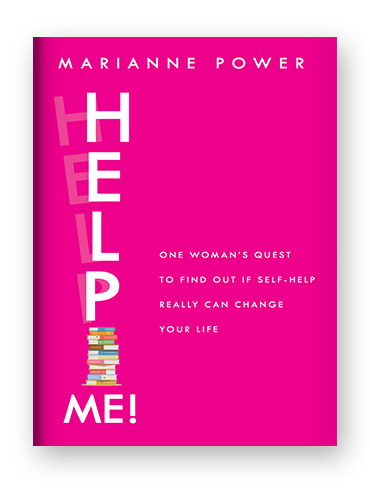 Marianne Power wakes up hungover one day, feeling stuck and stagnant. She has a great career as a freelance writer, but otherwise her life is a mess. She’s terrible at dealing with money (unless you count spending it wildly), is in debt up to her eyeballs, hopelessly single, and spends most of her time at the pub or hungover on the couch watching Keeping Up with the Kardashians. She needs to make a change. So she dives full-time into self-help land. Over the course of a year she reads one self-help book each month. But she makes it her rule that she can’t just read them, she has to act on the advice. She takes us along with her on a surprisingly intense journey (“spiritual path” is the phrase she uses to troll her deeply skeptical mother). Funny and self-deprecating, Power lays her anxieties and insecurities out to bare in a way that will resonate with many readers. Who hasn’t wanted to tackle their flaws and radiate their full potential? 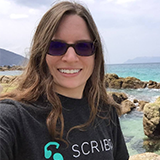 Find out what self-help advice actually works when put into action, what not to bother with, and the surprising source of the advice that helped Power the most over the course of her experiment. Ashley: There’s a whole other world that teems beneath our feet that we alternately don’t notice, take for granted, or fear. The underground is where our sewage goes, where many of the dead are buried, and where tunnels take us from one side of the city to another. Author Will Hunt is not like most of us: He let the wonder of the underground take him through labyrinths many of us don’t even know about to reveal the wild and wonder of life below the surface in this book. It’s fascinating to learn about explorers past and present who are so taken with the depths of the earth that we’ve carved out, like the cataphiles in France, who explore the long-abandoned mines in Paris. They set up movie theaters and throw wild parties down there. Hunt’s work will answer questions you didn’t even know you had about underground pathways, and ignite a desire to dig even deeper into these niches. Perfect reading for your next subway ride.